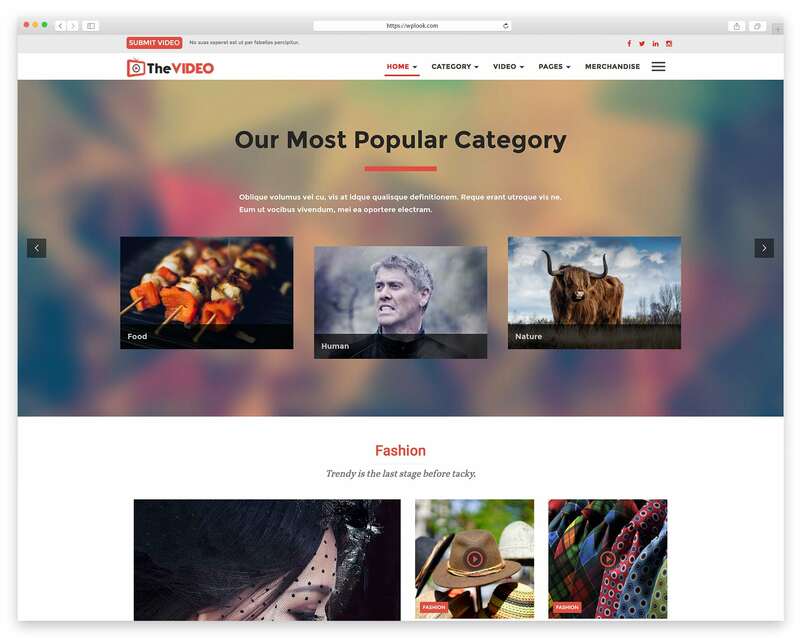 If you are a person interested or working in Entertainment and Video Industry, this hand-picked collection of the best WordPress Themes for Filmmakers and Video Producers is for you. These great themes are stylish, responsive and come with a lot of stunning features which will suit your business. 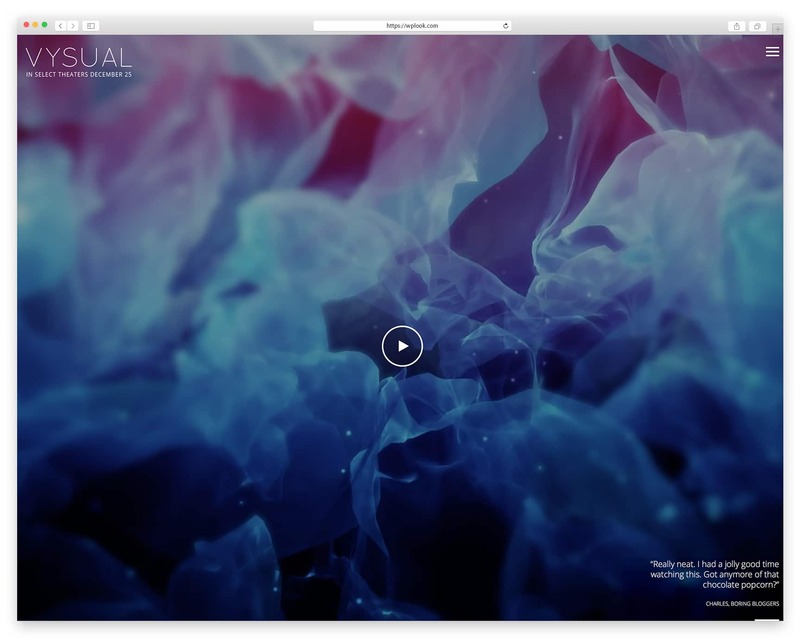 Hope this collection can bring you the best theme for your amazing upcoming website! 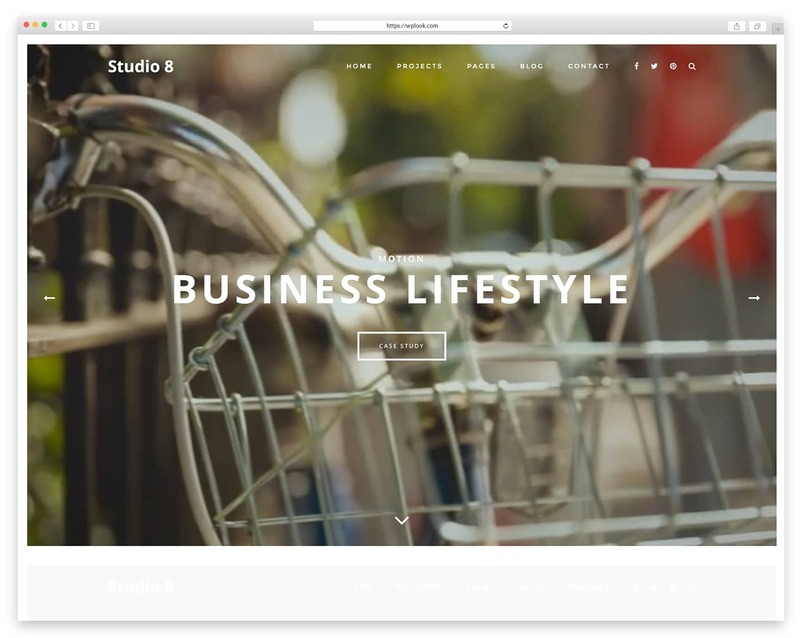 Studio 8 is a Premium WordPress Theme especially created for Filmmakers, Web Designers, Creative Professionals, Agencies, Photographs, and Architects that will surely impress potential clients and will create a strong first impression. Studio 8 will definitely help you to Introduce your agency to visitors in a professional way, to Showcase your awesome projects, to Display different types of content or to Create an online shop. Studio 9 is a feature-packed theme, perfect for Filmmakers, Movies, Agencies, Web Designers, Creative Professionals, Photographs, Freelancers that want to have a modern and great looking online presence. The theme allows you to Showcase your projects in a very professional manner, to Create an online shop and to Publish articles on your blog. Get Studio 9 now and give your agency the look it deserves! 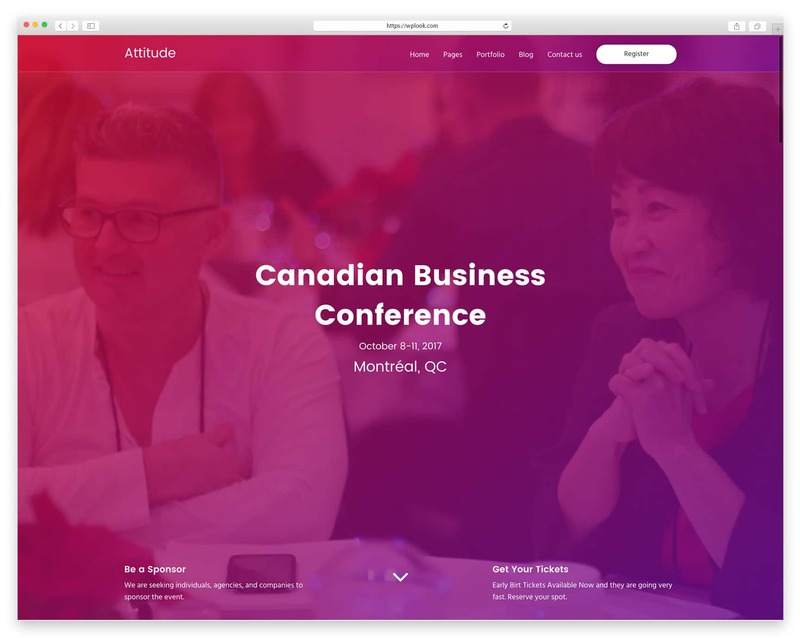 Attitude is a beautiful and stylish WordPress Theme with great design, tons of functionalities and easy customization especially created for Web Agency, Filmmakers, Photographer, Freelancers, Bloggers. The theme is integrated with Visual Composer that allows you to create stunning website content with simple drag and drop actions. 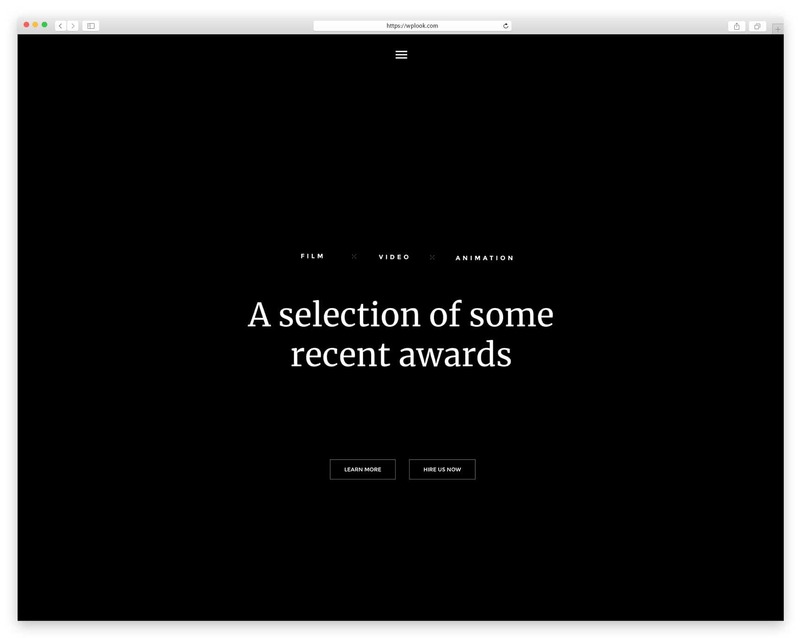 You can choose from 5 homepage demos or you can create your own. With Attitude theme, you can promote and present each of them in a professional manner. Silverscreen is a beautiful WordPress theme that’s been created especially for Filmmakers, Movies, and Production Companies. The theme has a collection of nine breathtaking and fully customizable homepages for various purposes that you can choose from. 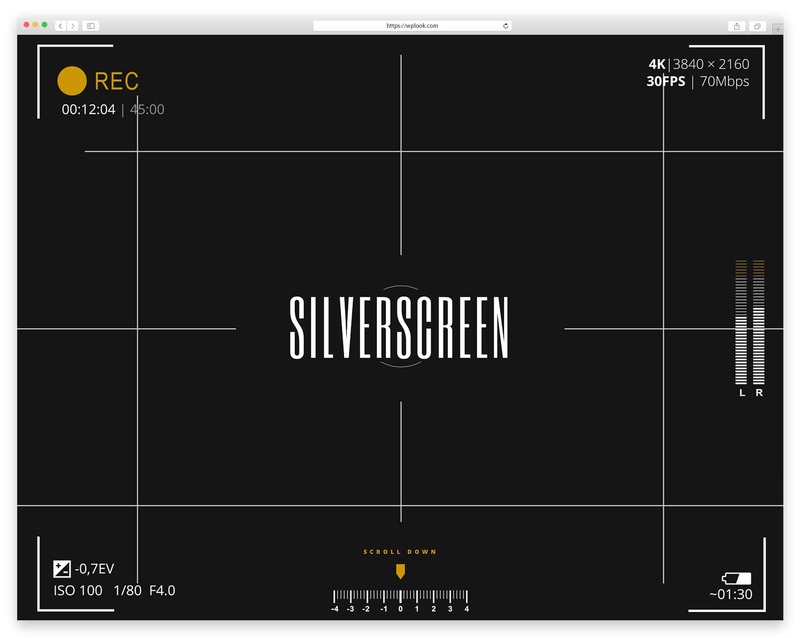 Silverscreen comes with beautiful layouts made for the purposes of showcasing your films. The theme has a large collection of custom shortcodes, it has a e-commerce support, giving you the option of selling products as well as collecting payments for your services. FilmMaker is a great theme created by Beautheme, and it is extremely suitable for any Agency, Corporate, Person to build their own film studio, Filmmaker Center or Film Production. It has 4 awesome available Home layouts, a Visual Composer plugin that will help you to build a site with no coding knowledge. Film Maker is totally compatible with WPML plugin, so you can have a multi-language site when using this plugin. 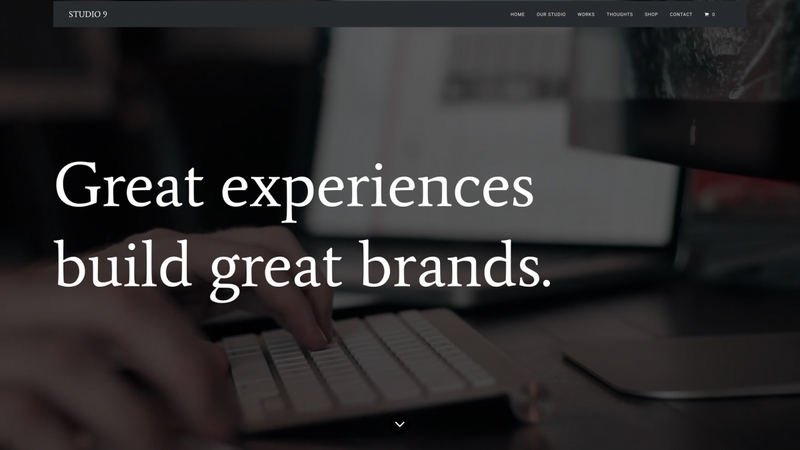 Circle is a beautiful WordPress theme suitable for any Creative Agencies, Teams, Film Studio/ Actor, Agency or Creative Studio. With the seven Homepages that the theme has it will be very easy for you to find the right option for the website. 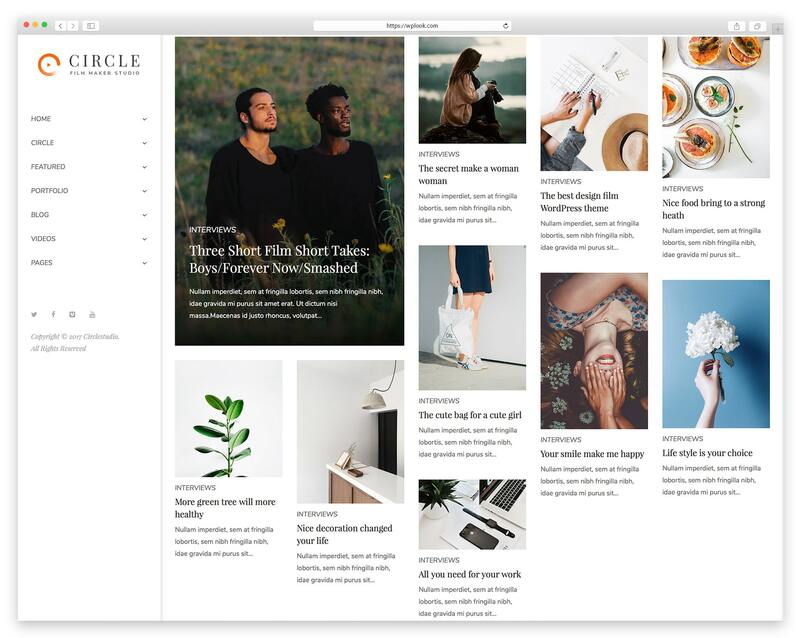 Circle theme is integrated with Visual Compose, it has a modern and creative design, tons of awesome icons and other useful features for setting up your website. 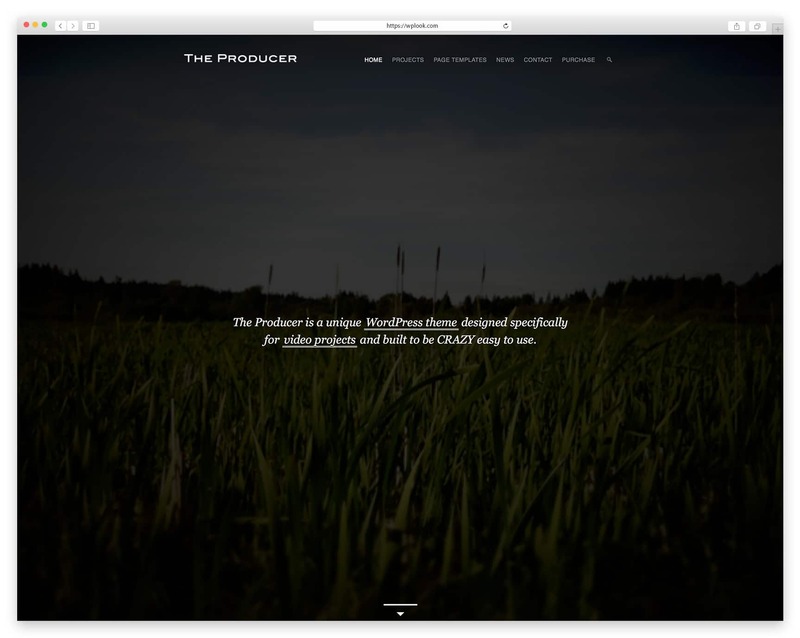 The Producer is a WordPress theme for Studios and Production companies. It looks very professional and has the features to make your film look great. The Producer was entirely designed around showcasing videos. Features a unique “panel” effect when scrolling as well as a traditional credit roll effect. With advanced jQuery animations and effects, super easy built-in admin panel or easy logo customization, the theme will definitely help you to create the website you dream about. Vysual is an award-winning WordPress theme built specifically for Film Campaigns and Movie marketing. It looks very professional and has the features to make your film look great. Vysual has a stylish and beautiful design and utilizes built-in features of WordPress, making it really easy to use and setup. The Passion is a multi-purpose Movie, Video and Music WordPress theme specially created for filmmakers related to Entertainment Industry. The theme can be used to present single movie releases as well as for showcasing whole video collections and video blogs. The Passion comes with eight website demos for Music, Vidoe, Musicians, etc. with different styles, that give you the possibility to choose the one that suits the goals of your project. 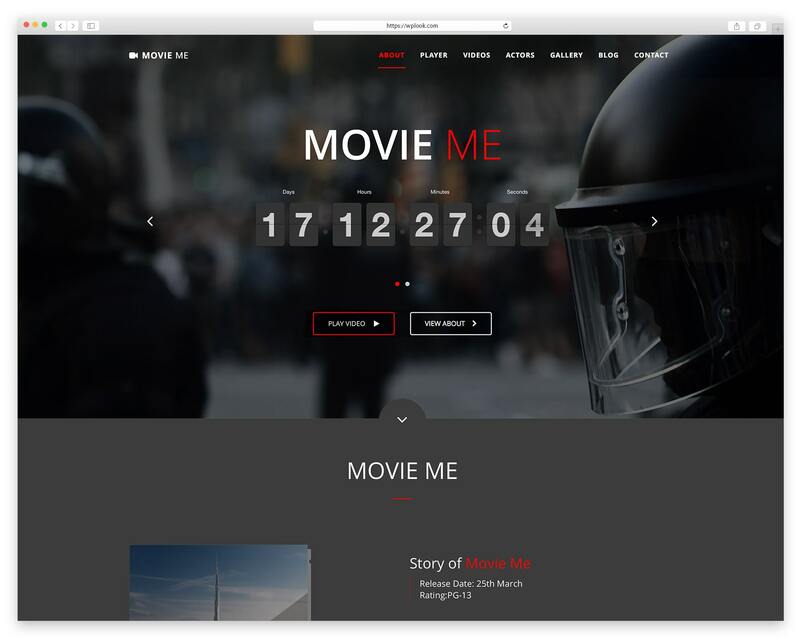 Movie Me is a one page responsive WordPress Theme intended for the presentation of Movies, Videos, Projects and much more. It comes up with One-Page Version and Multi-Page Version, the theme provides the power of WordPress shortcodes easy to use and implement. Movie Me is also responsive, meaning it will look and work great on mobile devices as well. With an elegant design that the theme has, your website will definitely make a lasting impression on your visitors. 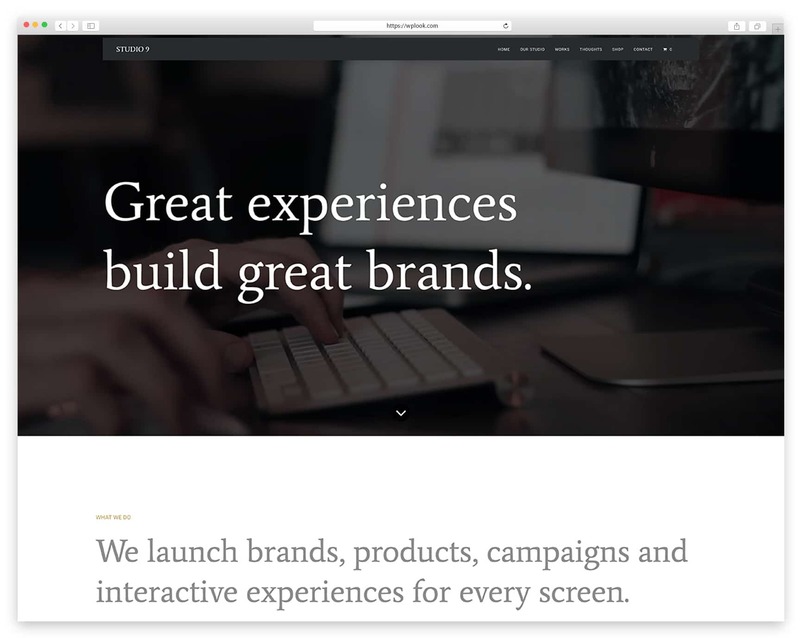 Nine Studio is a modern and stylish WordPress theme perfect for Creative Agencies, Filmmaker Centre/Productionand any kind of film websites. The theme is clean and customizable, it is visually appealing, and it has a host of plugins for easy management. Nine Studio has a wide range of powerful features to successfully promote and manage your business. 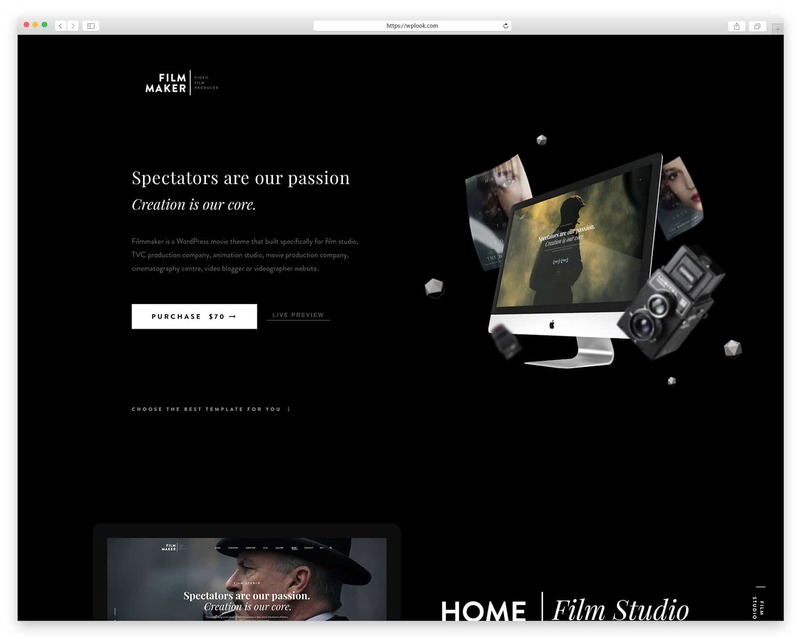 Try Nine Studio today, and start making your very own amazing film-making website.